We don’t yet know what will be the result of the Brexit negotiations. Will the British have a special status, or will we have the same rules as the other non-EU nations? This guide, and these regular updates, run through the scenarios. The guide, free to download below, covers a no deal situation where the British have no more right to live and work in France than the citizens of any other non-EU country, such as the USA or Australia. We don’t believe Brexit will be as “hard” as this, even with no deal, but even if it is, it should still be possible to fulfill your dream of buying a home in France and spending all or most of your time there. Read the articles below for news updates and advice. Can British people buy property in France after Brexit? British people will still be allowed to buy a house in France after Brexit. Buying a home doesn’t come under the EU’s ‘four freedoms’, and anyone has the right to purchase. If there’s no deal, you will still need to do a bit more legwork by getting a visa to move there, but it’s no more than what thousands of Canadians, Aussies and so on do every year. A visa won’t be a hassle – you can see the number of options available to you in our visa page. How do I buy property in France after Brexit? Simply follow the same buying process that you would follow now – start your hunt on our property portal, speak to estate agents, arrange a viewing trip, chat to a currency exchange to sort out how to transfer to euros and you’re good to go. You should start your visa planning at the same time as you start looking for your home, but you won’t need to apply definitively until later – you need it to enter the country, not to buy the home. What will healthcare be like for expats in France after Brexit? If a deal akin to the Withdrawal Agreement goes through, then you’ll have an implementation period where you can continue with the same rights as before. Afterwards, it’s likely that you’ll need comprehensive insurance for French healthcare. Can I buy a holiday home in France after Brexit? Any British overseas buyer will be able to purchase a holiday home following Brexit. Just go through the usual buying process and then, when you want to visit your home, get a temporary entry visa. They’re usually valid for up to three months. Can British people work in France after Brexit? You’ll likely need to get a work visa from the French embassy, which can necessitate having a job offer in advance. Generally, this shouldn’t be an issue and will be even easier than in the US or Australia. That’s because proving you are more qualified than a local for a particular job is easy when you’re likely applying for one that requires English and you’re a native speaker! Can I use my UK driving licence in France after Brexit? From 29th March onwards, anyone with a UK driving licence in the EU will need extra documentation, but the exact terms of that will depend on the terms of the deal. Whether there’s a deal or not, the French government currently states that you won’t need a international driving permit if you have a translation of your UK driving licence if you’re in France for short periods. If you’re setting up home in France, they expect that you will be able to drive on your UK licence for one year, as long as you exchange it for a French one during that time. 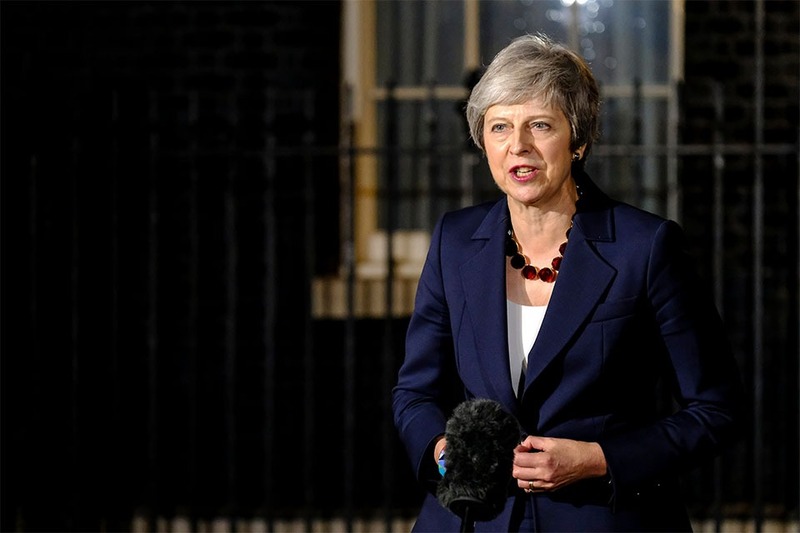 If there is a deal akin to Theresa May’s withdrawal agreement, then you will be able to drive as now with your UK licence during the transition period. For anyone currently living in France, the British government is urging them to transfer their UK licence to a French one before 29th March, to avoid having to go through a potential test. Even if there is no deal, it’s unlikely there won’t be an agreement on driving, but if there isn’t, drivers will potentially have to go through another test to get a French driving licence. You then send the details to CERT EPE, TSA 63527, 44035 NANTES CEDEX 01 FRANCE if you live outside Paris. If you live in Paris, send it to Préfecture de Police de Paris, DPG / SDCLP, Centre de ressources des échanges de permis de conduire étrangers et des permis internationaux de conduite (Crepic), 1 bis rue de Lutèce, 75 195 PARIS Cedex 04 FRANCE. ✔ How does a non-EU person access state healthcare? ✔ Will I be able to buy residential property in France? ✔ Could I take French citizenship? And many more important questions. Deal or no deal: what does each mean for your property in France? After Brexit, either with a deal or no deal, the British will be “third-country” nationals when viewed from France. But we won’t be the only ones. The France Property Guide has readers from Sydney to San Francisco, the UAE to Brazil, but it is only from the UK, lately, that readers have been worrying about healthcare, visas and buying property. Why the worry? 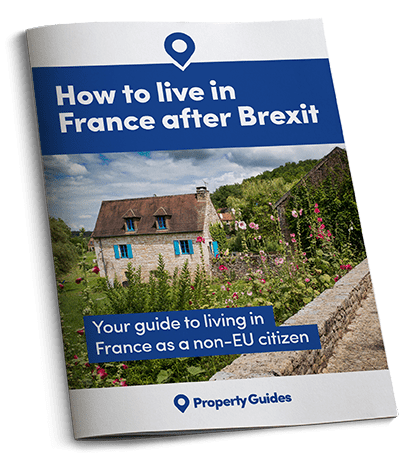 France Property Guides has delved deep into the likely Brexit scenarios – soft Brexit, hard Brexit or no deal – and we are confident that there are no realistic circumstances whereby British people need to abandon their dream. Property ownership is not one of the EU’s four freedoms and so your right to buy property in France will not affected. Ownership of property is not one of the EU’s four freedoms (goods, capital, work and services) and so your right to buy property in France will not be affected. That applies in whatever form Brexit happens, even with no deal. If you’re NOT living in France full time, normal travel insurance should suffice. Those working in France will pay into the French social security system and will be covered. British people will automatically become ‘Third Country’ nationals in France. The good news is that European leaders have stated categorically that even with no deal people from the UK will not require a visa for visits of 90 days or fewer in every 180. So you can travel backwards and forwards as many times as you like. Working: The British government says that EU citizens moving to work in the UK after the transition period will need a work visa. We can assume that would be reciprocated by France. If you need a work visa you will be just like the hundreds of thousands of non-EU people successfully working in the UK. If you want to, it is perfectly possible to learn French, get your UK qualifications recognised, and work in France. Why not give it a try? Retiring: Nothing has yet been announced about the “economically inactive” moving countries. A visa waiver system may be implemented as they won’t be taking jobs from local people. You may have to prove sufficient income to avoid being a burden on the state. In France it’s an income of €10,000 for one or €15,000 per couple. Third country nationals need a visa if staying for more than 90 days in any 180. So you will be able to live in France for half the year. Of course there may be paperwork involved – but France has a modern and well-run bureaucracy and we are confident that the processes will be simple and transparent, as they are for American and Australia buyers today. In short, even with no deal, there are many ways to get a visa for France, most of them are quite painless. You may need a visa, but we expect it to be a simple system or visa waiver. The worries of so many British people about Brexit – we believe unfounded – have held back demand for French property. This is a great time to buy for those willing to fill in a couple of extra forms! Similarly, the evidence is that some Brits in France are returning to the UK, gaining from the weakness of the pound compared to pre-Referendum levels. This is a real opportunity to make an offer on under-priced property. If you are ready to move to France, contact the France Resource Centre on 020 7898 0549 or email France@propertyguides.com. If you are still at the planning stage, download the France Buying Guide. What will happen to car insurance after a no deal Brexit? We have created the France Property Guide to help highlight the many pitfalls of buying in France after Brexit and to ensure that our readers can buy their dream home in France safely, without wasting time and money like many would-be homebuyers before them. Over the last ten years, we have built up a network of trusted experts to provide independent, factual guidance on all aspects of buying property in and moving to France. 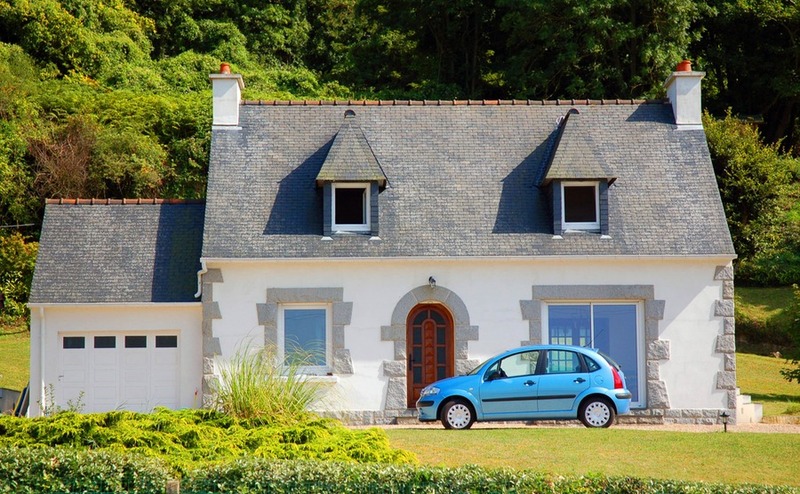 Our France Property Guide country specialist, Yasmin Smith, has been talking to home-buyers in France and helping them to buy their property in France safely for a number of years. She is at the other end of the telephone at our Resource Centre to answer any questions and support our readers throughout the property buying process.